Fall is a good time of year to evaluate the past season’s successes and failures and plan strategies for the season ahead. Give special consideration to determining soil nutrient levels and examining weed problems and infestations. Through proper record keeping, planning, and evaluation, you can better handle some of the effects of the previous growing season. 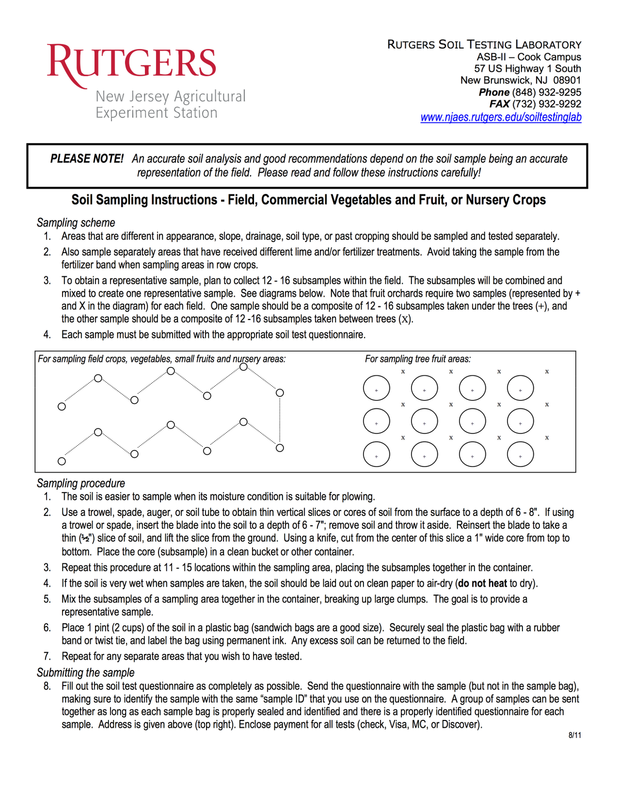 To accurately evaluate soil nutrient levels, take a soil sample for testing. This is the only method to accurately determine the pH and nutrient levels. With this information, limestone and fertilizer recommendations can then be made that accurately reflect the soil conditions. An accurate soil analysis and good recommendations depend on the soil sample being an accurate representation of the field. You can get a Soil Testing Kit from your Cooperative Extension county office. View instructions below.